The Government will, if necessary, introduce legislation to ensure a public commission of inquiry is held into the CervicalCheck scandal. High Court judge Mr Justice Charles Meenan has been tasked with examining an alternative mechanism to court proceedings for women affected, including a redress scheme. He will report in two months. Vicky Phelan, whose court case shone a light on the CervicalCheck scandal, met for the first time with Taoiseach Leo Varadkar to urge the Government to intervene in ongoing court cases involving women caught up in the scandal. 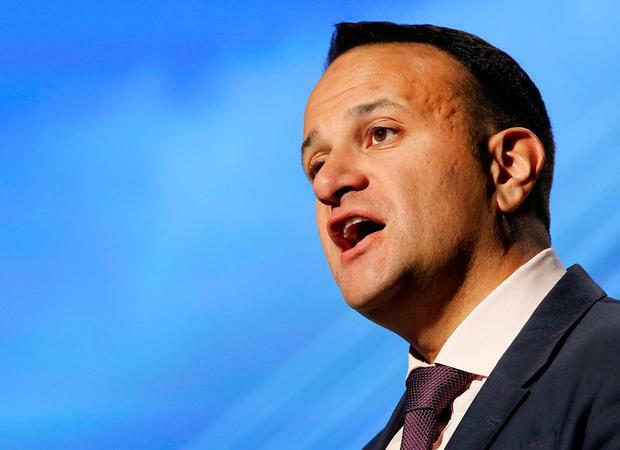 The Taoiseach was forced this week to clarify earlier assurances he gave that women affected by the controversy would not be forced to go to court. At the meeting, Ms Phelan said he reiterated assurances that the State will seek mediation where possible and also confirmed an alternative approach is to be examined by Mr Meenan. "The Taoiseach has promised me that he meant what he said - the State is going to endeavour to settle all cases through mediation," she said. "Where mediation doesn't work and labs are contesting an alternative dispute resolution mechanism will be sculpted out." Mr Meenan will engage with women affected and all parties associated with the cases and report on a means of dealing with the cases in a "timely manner" outside of adversarial court proceedings. However, Ms Phelan warned any redress scheme would need to be rolled out more effectively than previous State schemes. Ms Phelan also said the Fine Gael leader confirmed the State Claims Agency is willing to return to mediation talks in relation to Ruth Morrissey's case when it returns in September. She was informed at the meeting that offer could not have been made previously because expert reports were not ready. In a two-hour meeting, Ms Phelan said she was "frank" and "brutally honest" about the need for women to be spared the "harrowing" ordeal of attending court. Since the controversy erupted both Ms Phelan and Stephen Teap, whose wife Irene was also affected and has died, have been determined a public inquiry be held. Ms Phelan said she will await the terms of reference but welcomed the commitment. She also sought an update on the independent review of the smear tests by the College of Obstetricians and Gynaecologists which was expected to be underway by now. Letters of consent are being sent out to the 221 women directly affected and then to the other women involved, she said. Another issue she raised was the Patient Safety Bill brought forward by Health Minister Simon Harris, about which Ms Phelan has reservations as it does not include sanctions for individual practitioners. She said fines currently being meted out to healthcare providers were a "joke". Mr Varadkar said: "Vicky and all those affected by the CervicalCheck controversy have made a deep impression on the Irish public and on me." Ms Phelan has also revealed she plans to take a break from her activism on the CervicalCheck scandal, saying she has been accused of trying to bring down the screening programme. Ms Phelan said that she is "deeply disturbed" by some people and their attitude towards some of the affected women and their families.